Summary: Cyclo-cross North East (CXNE) has its origins in the old North East Cyclo Cross Association (NECCA) which was established in the 1950s. More recently, a rebranding exercise was undertaken to take the sport forward and bring in new technology such as chip timing, modern style courses, and the use of social media and the internet to bring the league together and create Cyclo-cross North East. 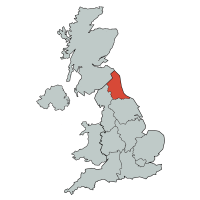 In the last four years the number of events and riders has grown almost exponentially and the North East now hosts the North of England Championships and rounds of the National Trophy. In 2016-17 the league has 12 rounds and runs from early September to late January with races taking place across the North East, Cumbria, and North Yorkshire. At the end of the season prizes will be offered for the top riders in various categories that include under 12s, youth, junior, senior, veteran, and women.